We are in the heart of the French Pyrenees and only 8km away from the border with Spain or a 1 hour 40 minute drive from the Pink City of Toulouse. Papilio is situated between the villages of Juzet-de-Luchon and Montauban-de-Luchon. 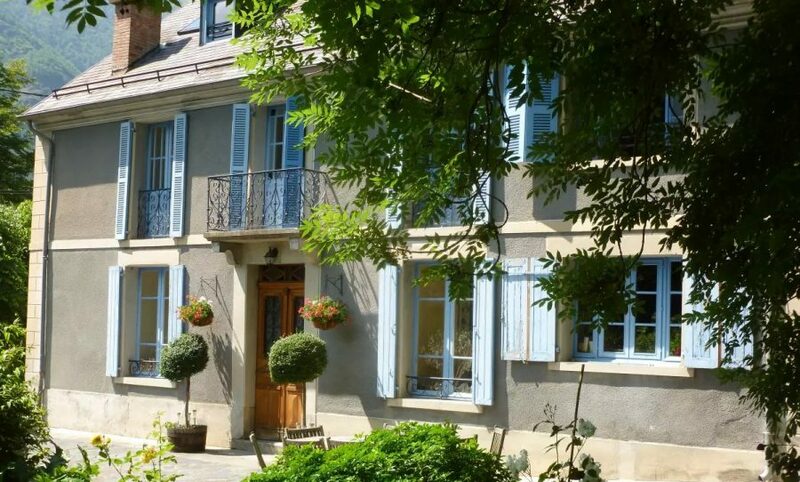 It’s just a 20 minute stroll to the spa town of Bagnères-de-Luchon and all its amenities. If lost, just ask for Herontès or Maison Volets Bleus! Toulouse and Pau are the closest airports and are both a 1 hour 40 minute drive from Papilio. Carcassonne airport is a 2 hour 30 minute drive from Papilio and Barcelona’s airport is a 4 hour drive away. The nearest station is Bagnères-de-Luchon, just a 3 minute drive from Papilio. Please note that SNCF operates a rail/bus service to Bagnères-de-Luchon. We recommend having access to a car during your stay so you can make the most of the local area.